For the past little while, I’ve been experimenting with oat flour in some of my recipes. I tend to lean towards pre-packaged gluten-free flour blends when I want to make a gluten-free recipe, but sometimes the results don’t end up as good as I’d like them to be. Ideally, I’d love to move away from those blends when possible so I can have more control over the results and to change things up a bit. The first gluten-free flour I decided to experiment with (on its own) is oat flour. Like with all gluten-free baking, it takes a lot of trial and error to make recipes work. Those who are familiar with gluten-free baking know exactly what I’m talking about! 1. Buy it in the store and spend a lot of money for it. 2. Make your own! I choose to make my own because it is ridiculously easy (and cheaper than buying it!). 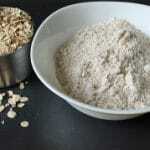 See below to learn how to make oat flour…and click here for more kitchen tips! There's no need to buy expensive oat flour at the store because it's so simple to make it yourself! 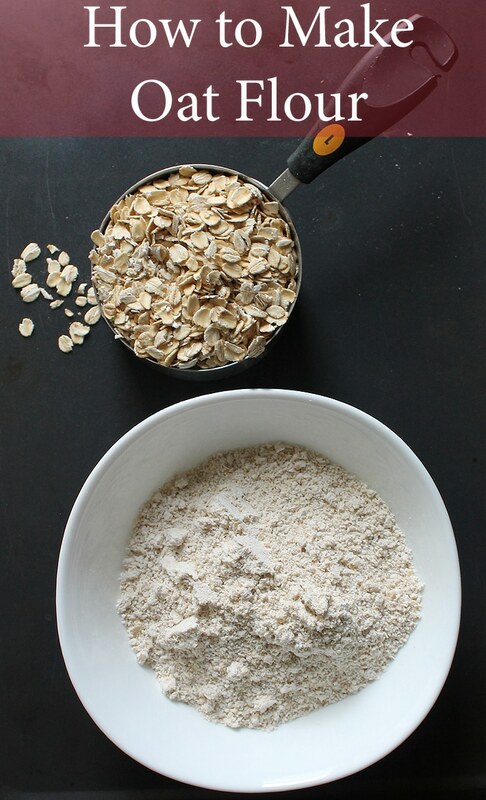 Here's how to make oat flour at home. Install the grinding blade to your NutriBullet, Vitamix or similar blender. Grind the oats until all of it has turned into flour. Depending on your blender (I use my NutriBullet with the grinding blade attachment) it will just take a few seconds. Be sure that all oats have been ground. Use the oat flour in your recipe right away or store in an airtight container. 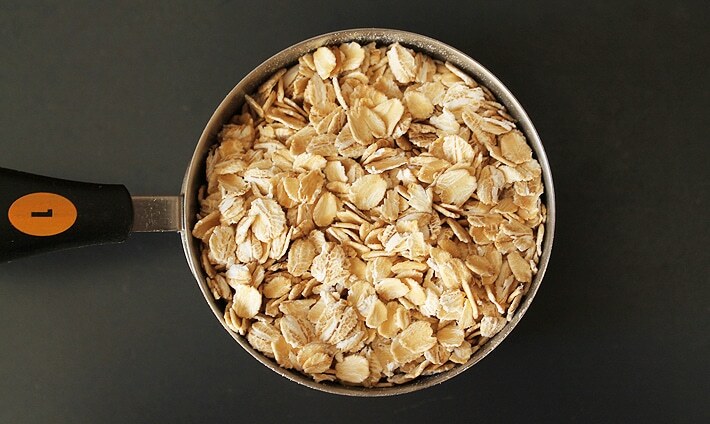 1 cup of oats = a little less than 1 cup of oat flour, so you will need to add a little bit more oats to the cup to get 1 exact cup of oat flour. I don't typically make my oat flour ahead, I make it as needed. If making ahead, be sure to store it in an airtight container until you are ready to use it. Calorie count is for 1 cup of oat flour.